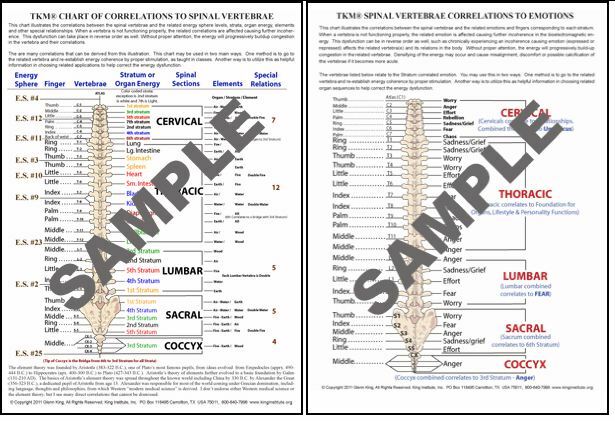 This thick laminated two-sided color chart illustrates TKM® correlations between the spinal vertebrae and the related energy sphere levels, strata, organ energy, elements and other relationships. The bonus chart on the reverse side illustrates the correlations between the spinal vertebrae and the related emotions and fingers corresponding to each stratum. Published by the King Institute, Inc., All Rights Reserved.